Lulworth Cove is about a half-hour drive from Weymouth. There are two carparks – the first you come to is for Durdle Door and the second is at the Cove. It’s about a twenty minute walk between the two carparks, which are connected by a long and quite steep section of the South West Coast Path. Both carparks are run by Lulworth Estate, which owns both the Cove and Durdle Door. Parking costs around £1 per hour and we found that four hours was enough to visit both. We parked at Lulworth Cove, which is the lower carpark and the only one with easy access to public toilets. It’s worth noting that even on a busy day at the end of the season they close at 4.45pm, which seems quite early. 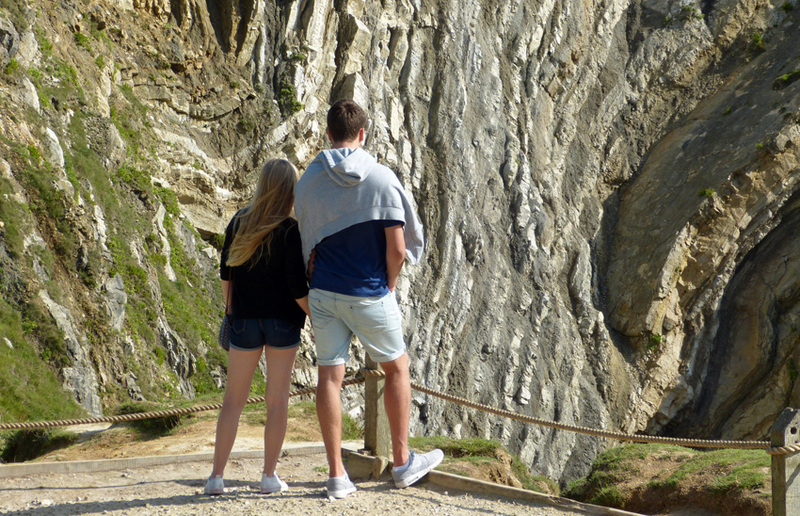 To get a better understanding of this stretch of the Jurassic Coast, and the processes making it what it is, visit the Lulworth Cove Heritage Centre by the carpark. It’s free and open all year round. From there we climbed uphill along a paved section of the South West Coast Path to Durdle Door. It’s about a 30-40 minute walk from the carpark to the natural stone arch, with very little of its journey on the level. You can get right down to the beach by way of steep steps. Other than a kiosk selling drinks and ice creams, there are no facilities of any kind at Durdle Door. That didn’t deter the many who were using the shingle beach and swimming, snorkelling or kayaking in the bays on either side of the headland from which the arch is formed. After a stroll along the beach, we headed back to Lulworth. The views from the high footpath are fantastic, taking in Weymouth and Portland to the west, across to St Aldhelm’s Head to the east. 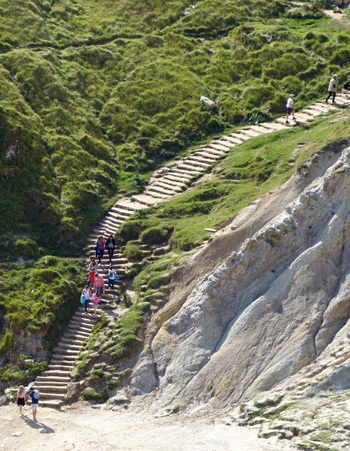 Lulworth Cove is beautifully presented as you descend the path from Durdle Door. Thousands of years ago the sea broke through a wall of Purbeck limestone and began eroding the softer clays. The result is a roughly circular cove, connected to the sea by a narrow gap defended by high rock walls. Lulworth Cove offers what you expect from a seaside village: ice creams, tea and coffee shops, gift shops, boat rides and, of course, a beach. Like Durdle Door, this is shingle not sand, so don’t expect to be building castles. There are marked footpaths to viewpoints that overlook the Cove and Stair Hole, another section of the limestone barrier that the sea is breaking through. With its caves and arches, Stair Hole lets you look back at what Lulworth may have looked like when the sea had still to fully break through the rocky barrier. I first visited this area on a geography field trip from school, years ago. Students continue flocking to the area because of the outstanding geography and geology on display. 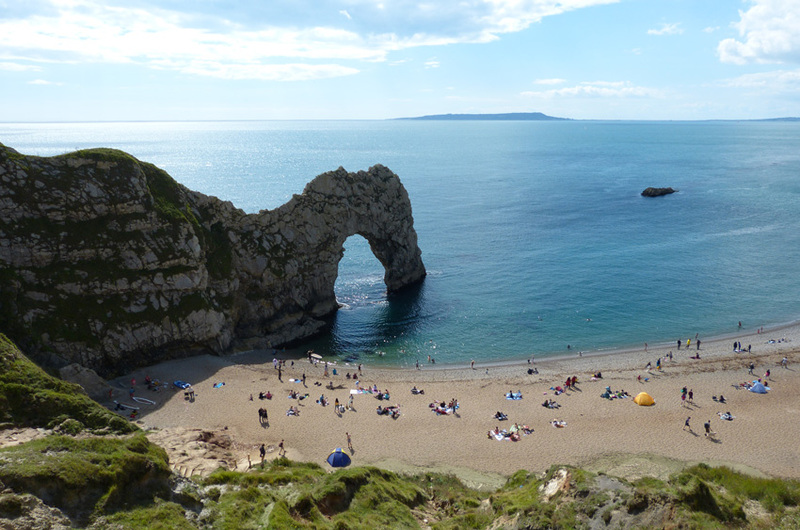 Lulworth RIB rides operate from the cove, taking visitors for a quick trip along the coast to Durdle Door. 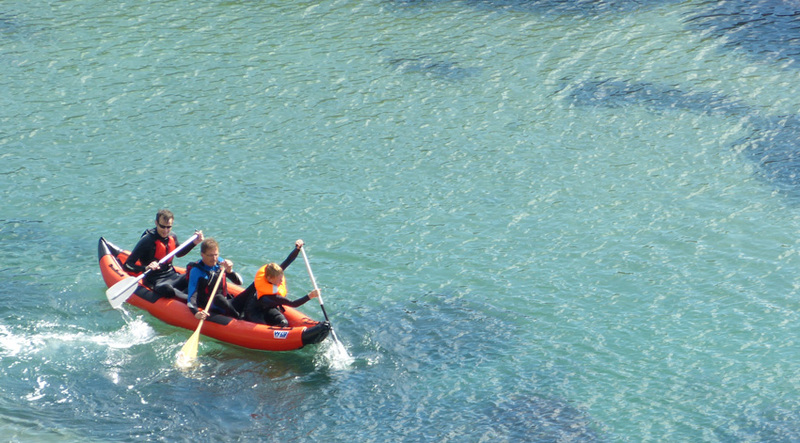 Coasteering offers a more hands-on approach to exploring the boundary between land and sea. Energetic and exciting (probably – I’ve never tried it), coasteering involves climbing, swimming, scrambling and jumping. Jurassic Coast Activities offer coasteering from Lulworth and I saw signs inviting families to give it a go for a few hours. Durdle Door, Lulworth Cove and Stair Hole exist because the sea is nibbling away at the land, slowly destroying the coast. 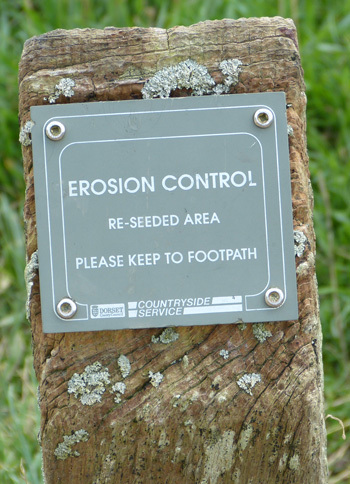 Unfortunately, the high number of visitors speeds up this process of destruction, because our feet wear away the land. That’s why there are signs everywhere asking you to stay on footpaths, which have been reinforced to reduce damage. While the process of destruction, or erosion, is slow, it can be dramatic when parts of the coast suddenly collapse. Take care near cliffs because however strong they look, one day, part of them will come down. Every year sections of the Jurassic Coast fall into the sea without warning. 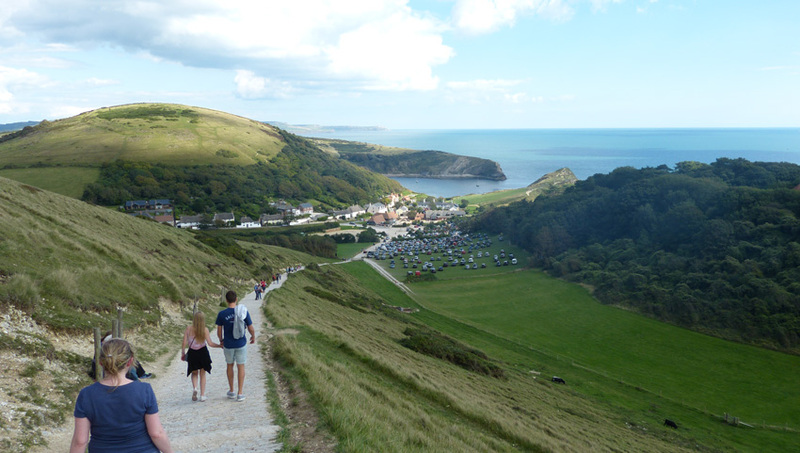 For more information about what’s on around Lulworth, visit the Lulworth Estate website.